(The New York Post, April 3, 2017) – The giant freighter that mysteriously vanished in the South Atlantic may have capsized without warning because of a chemical change in its cargo. The 586,429,617-pound South Korean bulk carrier Stellar Daisy disappeared off the coast of Uruguay en route from Brazil to China, hours after issuing a distress signal Friday. The ship was carrying 24 people, including 14 Filipinos and eight South Koreans. Two Filipino crew members found floating on life rafts were rescued Saturday and the search continues for the other 22. An oil slick detected 2,300 miles off the coast indicated that the 1,056-foot vessel probably had sunk, according to a statement issued by the Uruguayan navy. 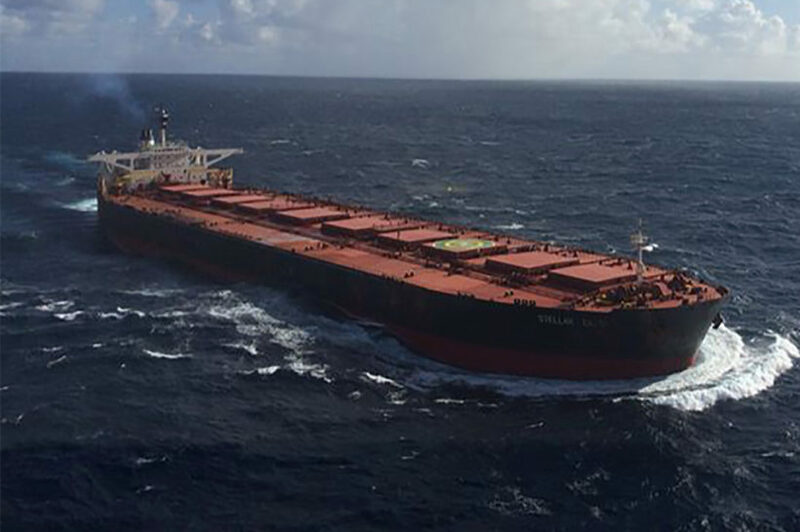 The Stellar Daisy reportedly was transporting a cargo of iron ore from the Ilha Guaba terminal in Rio de Janeiro to China, where the demand for ore has exploded as the economy grows. The Marshall Islands-flagged ship is thought to have gone down some 2,000 nautical miles off the port city of Montevideo. On March 31, a crew member sent a text message to the shipping company’s Seoul office stating the vessel was taking on water and was sinking. When the company tried to contact the vessel, all attempts failed. Uruguayan navy and Brazilian authorities were alerted when an emergency satellite signal was received from the Stellar Daisy, the Shipping Herald reported. A search-and-rescue operation was launched in the area of the signal. Four nearby commercial vessels were asked to assist in the search effort and the Brazilian air force dispatched a plane from Rio de Janeiro. On April 1, the Uruguayan navy reported finding an oil sheen and flotsam along with a “strong smell of fuel.” A short time later, two life rafts from the Stellar Daisy were located by one of the commercial vessels. Early reports suggest that the Stellar Daisy, which is classified as a Very Large Ore Carrier, lost stability and quickly sank. One theory being floated, published in the Shipwreck Log today, is that the ore shifted, causing the vessel to lose balance and capsize. There have been several documented cases of ships suddenly sinking due to the liquification of iron ore and nickel ore during prolonged movement, such as bumping and shaking that occurs in bad weather. In 2010, three ships loaded with nickel ore sank in Southeast Asia, claiming the lives of 44 crew members. The deadly spate prompted internationally renowned maritime accident investigator Dr. Ken Grant to issue a warning about chemically volatile cargo. Grant said both mariners and lawmakers were dangerously ill-informed about the properties and behavior of iron ore and nickel ore. In 2012, the Vietnamese cargo ship Vinalines Queen, carrying 23 crew and 108,000,000 pounds of ore, vanished without a trace in bad weather off the Philippines. One crew member was rescued and told investigators the vessel had sunk. Investigators later concluded that the ore cargo could have been liquefied in the shaking that the ship was subjected to by strong waves and winds, the Thanh Nien News reported. When it tilted to one side, the liquefied ore could also have gathered on that side and tipped the balance irrevocably, the investigators said. Investigators said conditions would have been even more perilous in the event the crew had failed to close the ship’s hold properly, allowing water brought by high waves to enter and liquefy the ore. However, the sole survivor of the tragedy, 31-year-old Dau Ngoc Hung, told inspectors that he was in charge of securing the hold and insisted conditions were “normal” before the ship sank. Meanwhile, the search for the Stellar Daisy and its 22 missing crew members continues. (By Daniel Uria, April 7, 2017, UPI) — The owner of a Florida video game store is challenging a town law that prevented him from displaying an inflatable character outside his store. 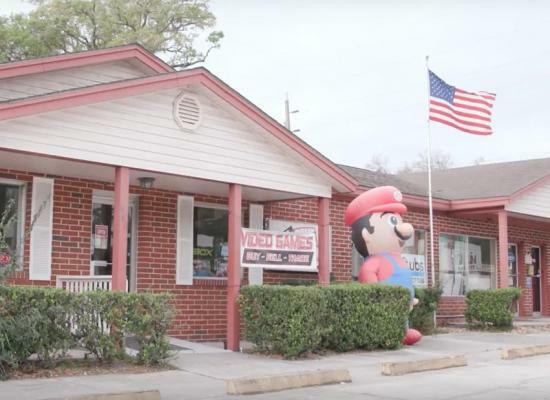 Government in the Jacksonville suburb of Orange Park told Scott Fisher, owner of Gone Broke Gaming, he was required to remove the 10-foot inflatable Super Mario that once stood outside his store or face a fine of $100 for each day it remained. 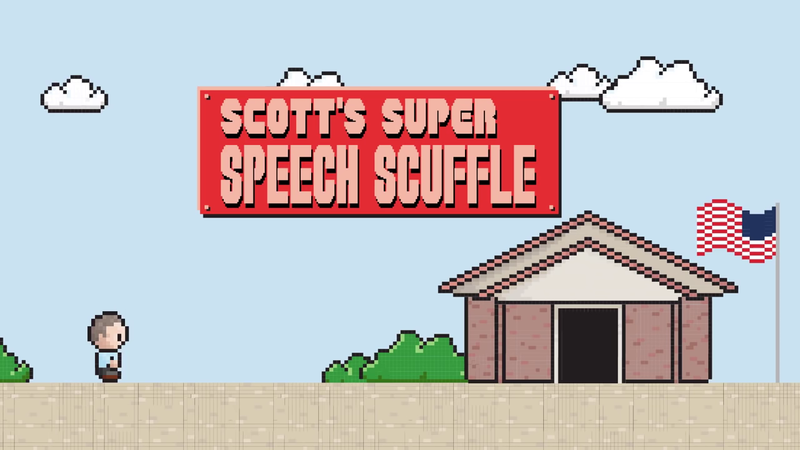 The town cited a law that prohibits business owners from installing portable displays, like the giant Mario, that convey a message relating to their business. Fisher said he placed the large character outside of his store to attract business after getting approval from his landlord and the nearby businesses in July. Fisher received support from Institute for Justice and filed a federal lawsuit against Orange Park claiming the law violates the First Amendment to the U.S. Constitution by discriminating certain types of speech. “I could have a Santa Claus, an elf or some other seasonal inflatable but because Mario pertains to my business, I can’t have him,” Fisher said. Fisher also stated that the loss of the inflatable display has hurt his business, as customers and passersby no longer stop outside the store to take photos with Mario. “When we had to take it down I could tell there was a decrease in the foot traffic and the amount of phone calls started coming in ask where our location was increased substantially,” he said.